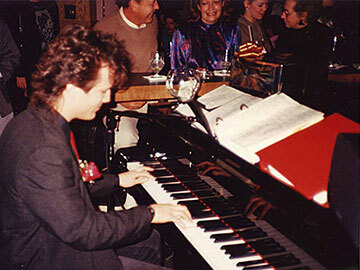 In 1988, fresh off a 12-year stint with my three brothers in the Caruso band and more than a decade before I would be introduced to dueling pianos, I auditioned at my first solo piano bar, in a downriver Michigan restaurant called Colombos. I met the owner and the manager after lunch, when the restaurant was empty. They sat some distance away, asked me a couple of questions and had me play a few songs. The owner, an older guy who I rarely saw without a drink in his hand, spoke dryly and didn’t smile much, as if he wanted me to feel like I was in some kind of hot seat. The younger chef/manager sensed this and he worked to put me at ease after each comment or question from the owner. I got the impression that the manager already knew about me and felt I’d be right for the job, which would be to try to attract diners in the 25-40 age group. 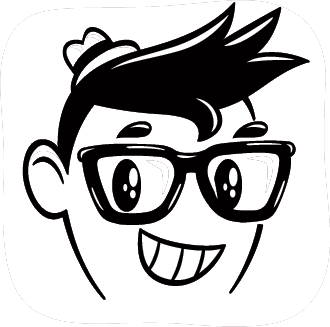 It turned out that my hunch was right–playing for the owner was a just formality. I nailed the audition and soon I settled in for a 10-month run. For four nights a week at Colombos, an elderly gentleman would play old-fashioned, instrumental piano standards from about 4-7pm. After that, I would take over, singing and playing pop music requests for the late diners, who would often wind up joining me on high stools around the piano, at a custom-molded bar. Despite being new to piano bar entertainment, I built a modest clientele pretty quickly. Every night, “the regular crowd shuffled in” to ask me to play them a memory. These were mostly married couples (not a single real-estate novelist among them!) stopping in several times a month for dinner, passing me requests and “put[ting] bread in my jar” late into the evening. They would often suggest staple artists and songs for me to add to my repertoire. That helped me get acquainted with artists who didn’t get much airplay at the Caruso household, like Johnny Cash, Willie Nelson, Carole King, Patsy Cline, and Janis Joplin. Although years of reading music, ear training and practice had already given me the ability to play almost any song I’ve heard without music or memorization, even when “I’m not really sure how it goes,” managing all those lyrics was a different story. Having to field a ton of new song requests with little prep time meant that memorizing lyrics would be out of the question. As a result, my lyric books grew into several giant three-ring binders which I transported in a big, heavy valise. Each page in my lyric books contained one song lyric, either typed on my typewriter or written out by hand. A few of the pages were photocopied from Song Hits, a lyric magazine that was sold on newsstands. Moving the heavy books between the valise and the piano’s music stand (which was designed to support sheet music and slim folios) was a klunky venture. Awkwardness aside, I learned a lot of music and techniques at Colombos that would serve me well in dueling pianos. During the last weeks of my Colombos engagement, I added an Alesis HR-16 drum machine to the mix, which I programmed to accompany me on select songs like Billy Joel’s “Root Beer Rag,” “Scenes from an Italian Restaurant,” and Elton John’s “Funeral for a Friend.” These drum patterns would become the foundation for my sequenced/live show throughout the ’90s. I grew up with a used Grinnell console (tall upright) that my parents bought from a relative. Colombos’ house piano was a black baby grand made by Young Chang, a Korean piano manufacturer. Although Young Chang is listed as one of the top six piano brands sold in the U.S. in the past 20 years, I had never played (or heard of) a Young Chang piano before that time and I haven’t since. 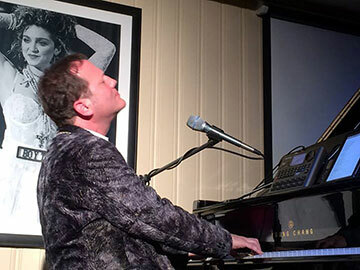 So imagine my surprise when last month (some 26 years later), I walked in to play my second-ever, semi-regular solo show on a house piano– this time at Key Largo Restaurant in Waterford, MI–and their piano happened to be a Young Chang baby grand, just like at Colombos! How weird is that? So now at Key Largo, just like back in 1988, I’m making music from a huge mix of genres and decades while combining the acoustic sounds of a live grand piano and vocal with occasional backing beats and audio tracks. It lets me make all kinds of cool sonic and arrangement choices in songs like David Bowie’s “Changes,” Gwen Stefani’s “Cool,” the Plain White Tees’ “Hey there Delilah,” Billy Joel’s “New York State of Mind,” or my own music. One of the things I like best about playing live as a solo entertainer is the freedom to experiment. In a band, you’re confined to only playing songs that everyone in the band has learned. By playing solo, I can stretch out. When I’m playing a baby grand (as opposed to a pro electronic keyboard), something sort of magical happens. The real strings and hammers inside make a difference which you can hear, and which affects my performance. You can really hear the difference on songs like Billy Joel’s “New York State of Mind,” Marc Cohn’s “Walking in Memphis,” or my own “I’m Not Finished Yet” (from my Elizabeth Parker EP) and “It’s a Great Day for the Angels” (from Cardboard Vegas Roundabout). One of my favorite ways to hook listeners is to make interesting medleys and what I call “one-two punches.” Medleys have gotten a bad rep over the years. But a clever combination of tunes can be just as interesting for the listener as it is for the performer. One of my favorite medley creations is the Church’s “Under the Milky Way,” followed by George Harrison’s “While My Guitar Gently Weeps.” People who know both songs and recognize how perfectly they dovetail together always give me a big, knowing smile for finding that match-up. A one-two punch is when you follow one song with another that the audience will recognize as related in some way. An example would be when I play “Our House” by Crosby, Stills, Nash, and Young and follow it up with “Our House” by Madness. They’re two very different songs with the same title, but they’re both popular and people don’t expect to hear you play the second one without a band. Compared with my gig in 1988, Key Largo’s public address system sounds better, the piano is far newer (I started performing on it just a few days after it arrived!) and my backing beats and audio tracks are much higher quality. My iPad holds all the lyrics I need without bulky binders. And today I have 26 additional years of song material, entertainment experience and (hopefully) musical maturity. The young upstart in black jeans has grown up. This entry was posted in Guest Column and tagged alan haber, cardboard vegas roundabout, dave caruso, piano bar, pure pop radio, restaurant, streamlicensing. Bookmark the permalink. Win Dave Caruso’s Cardboard Vegas Roundabout! Deadline to Enter Extended!